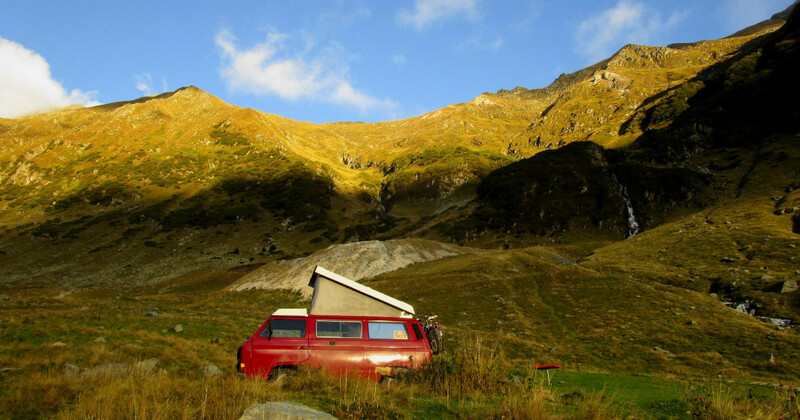 A few months ago we read about the Transfăgărășan Road on the website of Vandog Traveler, a fellow vandweller. His story about this road was so exiting (he saw a bear!!) that we really wanted to drive this road as well. 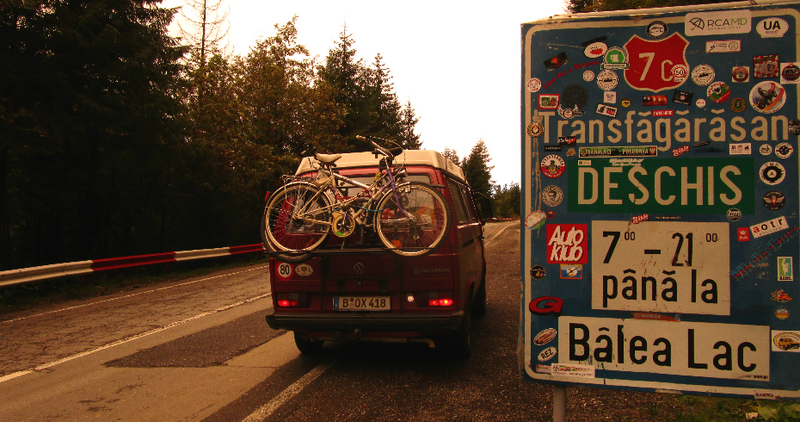 After some more research we found out that this is one of the most beautiful roads in Europe. This was actually the one reason we came to Romania. 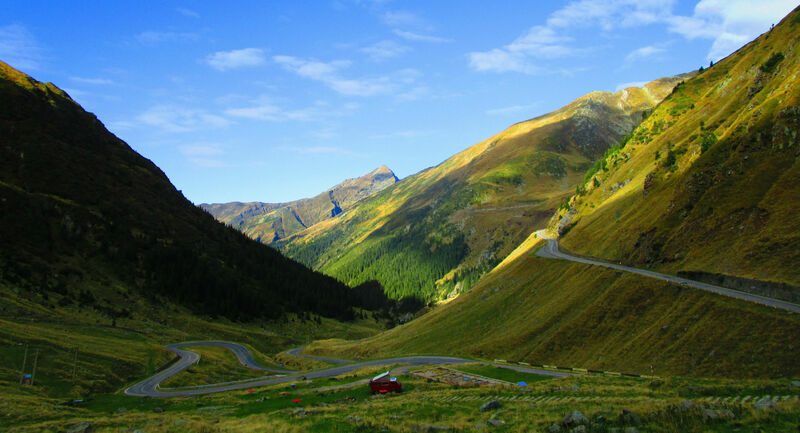 Some basic info: The Transfăgărășan runs between the Romanian towns Cârțișoara and Capatineni, stretches about 90 kilometers in total and rises in altitude from 500 to 2200 meters above sea level within 40 kilometers. 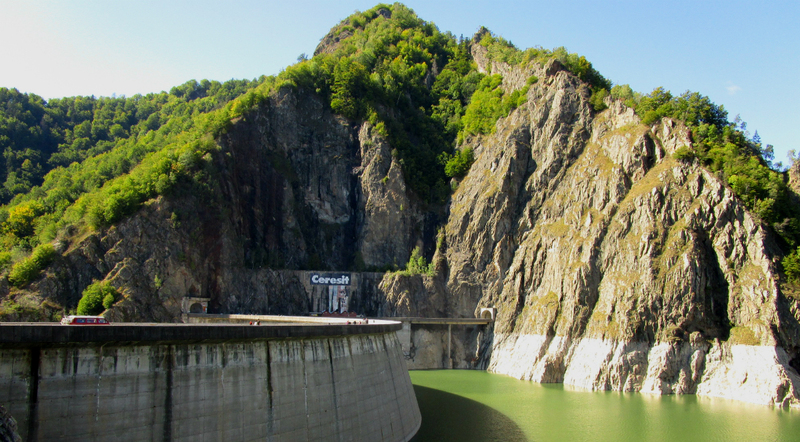 Because of its high altitude and steep cliffs the Transfăgărășan closes every year between November and June. Because we knew that the road would be closed at some point in October, we hurried here so we would not miss our chance. 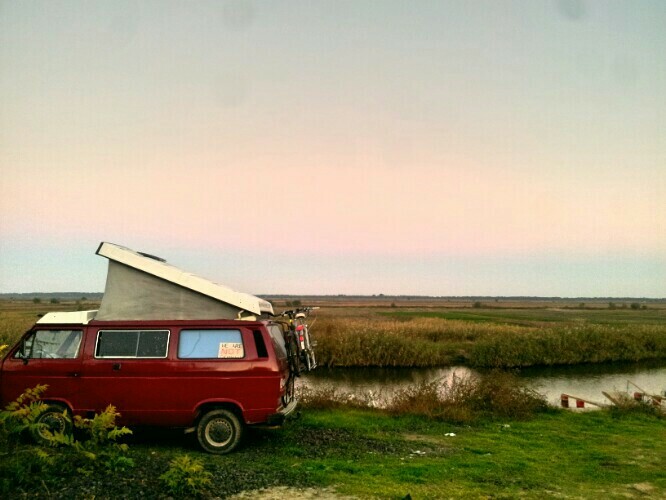 Just before we came to Romania we did a big maintenance on the engine of Box, got the winter tires and installed a solar system. We were totally ready for the mountains! And Crom actually saw a bear…. The first very winding part of the road. Box was doing great! We reached the other side of the mountain peak just around sunset. We were surprised by the beautiful light. The next morning we met some sheep. After this lake we were so spoiled by the beautiful views that we just drove on and did not make as many photo stops anymore. Before we knew it we were out of the mountains, back on the ‘normal’ road with busy traffic. 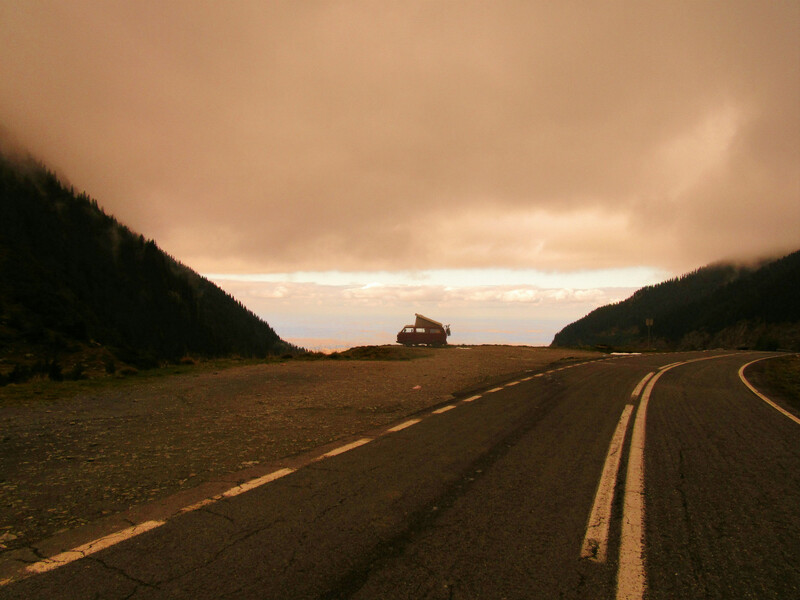 We loved this experience so much that we are now on our way to another amazing road in Romania: the Transalpina. So stay tuned for our report on that one! 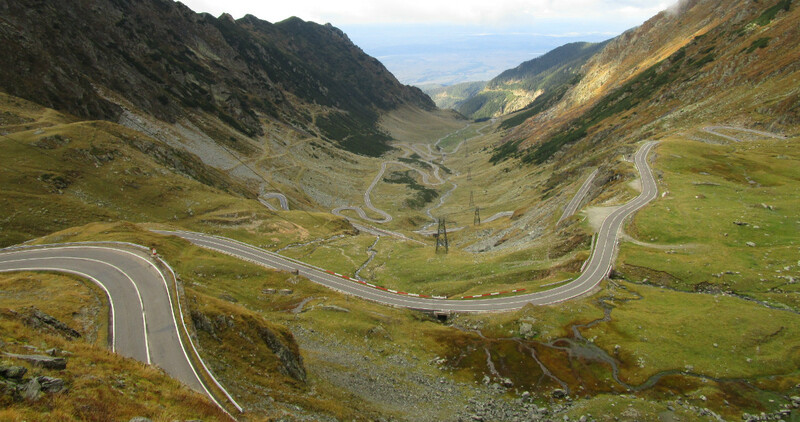 Are you also planning to drive the Transfăgărășan? 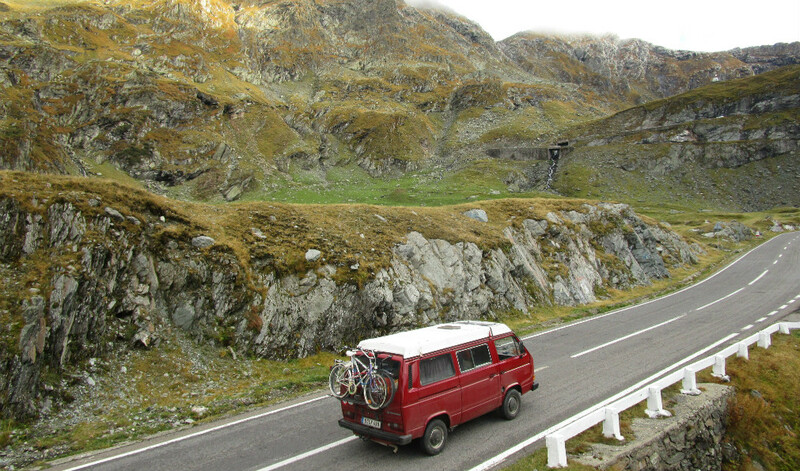 The Transfăgărășan is only open between June and October. 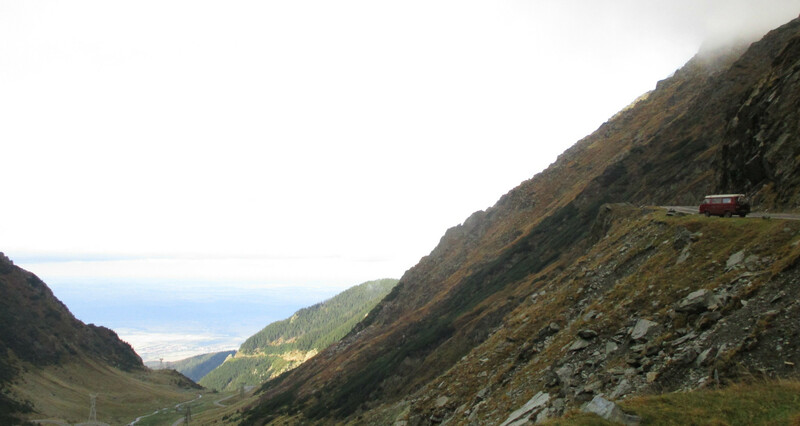 If you want to be sure that the road is open, check the Facebook page of the Transfăgărășan. 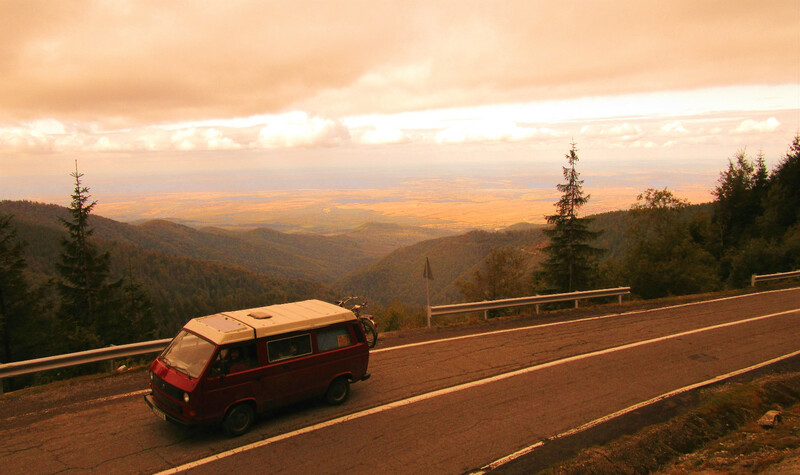 Before you drive into the mountains, do a good check up of your car. You want your breaks and clutch to be in optimal shape. The road is curvy and the cliffs are steep! Start driving early in the morning so you don’t have to rush to finish before it gets dark. The road is open between 7AM and 9PM. Pick a clear day for your trip. When it’s rainy or foggy, you won’t see all the nice views. 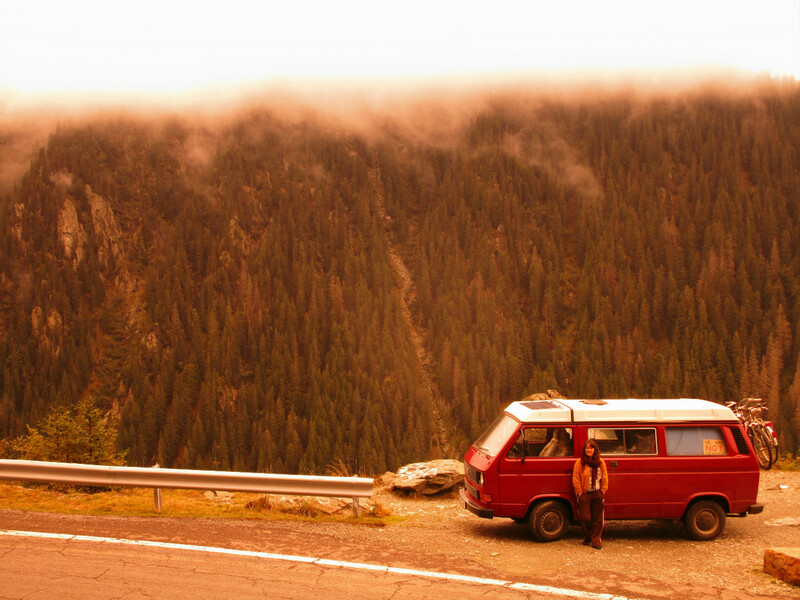 If you have the chance, spend one night along the road. 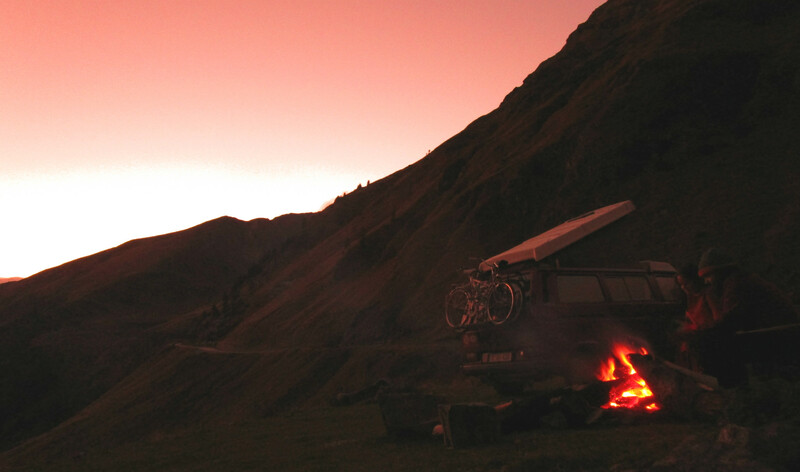 If you can’t camp, there are a few hotels along the way. Use the opportunity to fill up all you water bottles with fresh and cold mountain water. 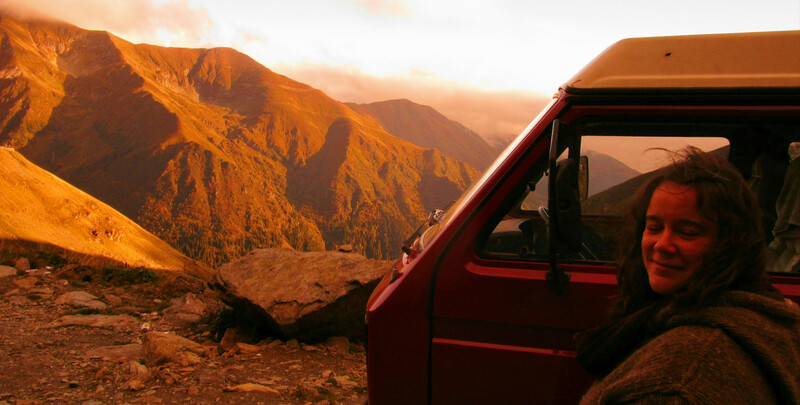 Are you also planning on driving the Transfăgărășan in your van? Or did you do it? Tell us about it! Tagged mountains, nature, popular, roadtrip, Romania. Been there last September 20, 2015. It was the most exciting driving experience ever! 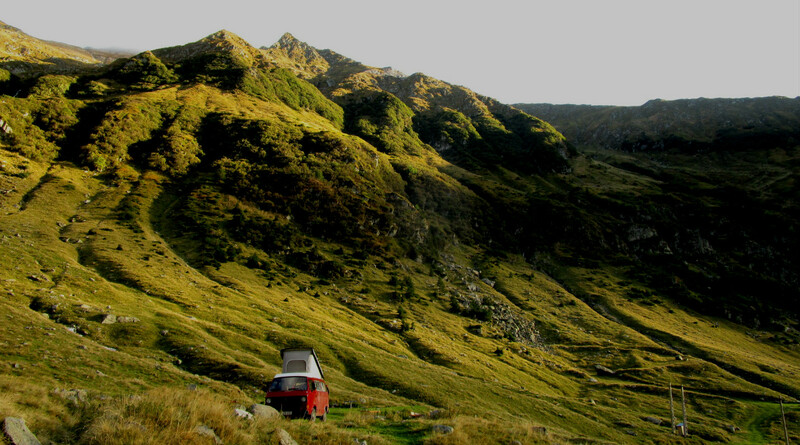 Where did you get your tips for Romania ? I did advise same route (90%) to some travelers online. Glad to see, someone enjoy it. Have you take any photos from Dunavatu ? Have a great time and wheel spinning without problems ! Believe when Crom say that see a bear. I often seen bears in Romania, even during the day. I uploaded a video on my old channel, years ago, with bears in the light day, staying 2m from the cars, waiting for food. Behind me, all the cars stop to enjoy the show. That spot in Dunavatu, found it about 7 years ago, when I get my Syncro. Nice place.